Helmet Safety - Motorcycle Safety Institute of S.A.
What happens when you sustain a head injury during an accident? If your brain is injured, swelling and inflammation often occur. Because there’s no extra room inside your skull, your brain tries to squeeze down through the hole in the base of the skull. This creates pressure that injures the vital brain stem even further, often destroying the parts that control breathing and other basic body functions. If you’re hit very violently on the jaw, as in a head-on impact, the force can be transmitted to the base of the skull, which can fracture and sever your spine. 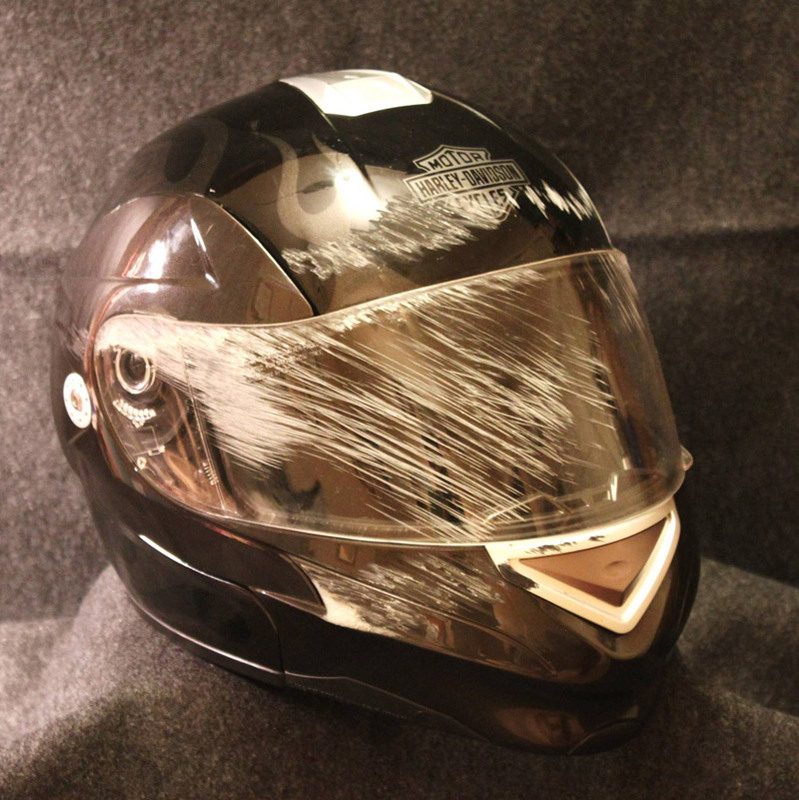 It’s a common cause of death in helmeted motorcycle riders, and a very good reason to wear a full-face helmet and insist on thick EPS padding, not resilient foam in the helmet’s chin bar. When your brain collides with the inside of your skull, bony protrusions around your eyes, sinuses and other areas can cause severe damage to the brain. And if your head is twisted rapidly, the brain can lag behind, causing tearing and serious internal brain injury as it drags against the skull. A helmet is the best way to avoid such unpleasantries. Why wear a good helmet and what it does for you? First, it is the most important protective gear you can wear while riding a motorcycle. Think of it at the same time you think of your pants: Put on your pants, put on your helmet. You wouldn’t ride without any pants, would you? Helmet use is not a “fix-it-all” for motorcyclist safety, but in an accident, a helmet can help protect the stuff between your ears, your whole face, and your life. It is also sad that some would invest as little as possible on headgear, refusing to see the benefits of a more expensive quality helmet. Combined with other motorcycle-specific protective gear, rider training courses, proper road use and road user awareness, the use of helmets is one way to reduce injury. You hope your helmet never makes an impact with the road, but accidents do happen. We can’t predict when or what kind they will be. You shouldn’t say to yourself, “I’m just shooting down to the shops,” and not wear your helmet. Second, a good helmet makes riding a motorcycle more fun, due to the comfort factor: another truth. It cuts down on wind noise roaring by your ears [read Hearing Protection & Why], on wind-blast on your face and eyes, and deflects bugs and other objects flying through the air. It even contributes to comfort from changing weather conditions and reduces rider fatigue. Third, wearing a helmet shows that motorcyclists are responsible people; we take ourselves and motorcycling seriously. Wearing a helmet, no matter what the law says or doesn’t say, is a reflection of your attitude toward riding. What would you describe as a “safe” motorcycle helmet? What are the most important components of a safe helmet? Most sport-type activities have their own suitable protective gear and equipment. Motorcycling is no exception. Every rider and passenger should (for what it’s worth) wear over-the-ankle boots, Kevlar or Ballistic Nylon jeans (Xkulcha), a long-sleeved Leather or Cordura jacket with armouring, full-fingered motorcycle gloves, and a helmet manufactured to comply with DOT (U.S. Department of Transportation) or ECE (Economic Commission for Europe) standards. Combine these elements in a motorcycle helmet that covers the whole head, and you have a safe motorcycle helmet. We have received an email from a guy riding a scooter asking whether the bicycle helmet would be okay for him. Why should this not be? It blows my mind to see cyclists travelling at near motorcycle speeds or average road speeds, allowed to wear what they do. This may be the reason why this person asked if he/she could wear a bicycle helmet riding a scooter. Dear sir/madam, it is a bicycle helmet and not a motorcycle helmet. There is a clear difference in the make-up or development process and it most certainly does not adhere to the four points I highlighted above. Is buying just one helmet okay? This is a personal choice. I have three different helmets for three different purposes. One for instruction, one for off-road or adventure, and one for road riding; each one of them functional to the type of riding I choose to do. When buying one helmet, choose one that you are most comfortable wearing the whole day on the motorcycle, suitable for your type/style of riding or motorcycle. It never hurts to have more than one helmet – good to have a spare if your budget allows. You never know when it will come in handy. Is there a difference between the needs of the occasional rider and the regular rider? If you can drown with a teaspoon of water then you can crack your head no matter your riding preference. Occasional or regular rider, whether you shoot down to the shop, to the next town or next province; it is a choice you make and a chance you take getting on your motorcycle. That said there is a difference: the occasional rider would be the one more relaxed in their thinking when it comes to putting on the correct protective gear. The regular rider is seen as more disciplined in his thinking and hopefully has the common sense to dress for the fall and not for the ride. In some cases, I’ll be wrong in making such statements, but from experience, I’ve seen this to be the norm. Are there distinctive differences between the helmet of your average rider, the off-road biker, and the long-distance traveler? No matter what type of riding you do, you should always buy the best helmet your money can buy. 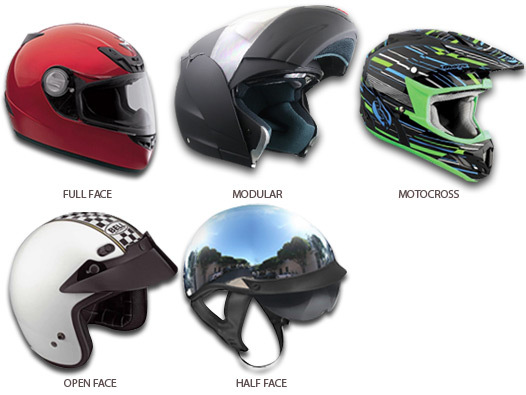 The average rider (assuming on-road only) may opt for a full-face helmet or even a modular flip-up helmet, however, there are some who would try their luck at an open-face or even a half-face helmet. The off-road rider favours the typical Motocross style helmet with an extended chin bar, peak and instead of a visor choose to fit a pair of purpose-made goggles that keep dust at bay and away from the eyes. The touring rider would look for luxury or comfort, with good protection from the elements and ample ventilation such as a full-face touring helmet. Some would even fit a Bluetooth headset for rider-pillion communication, or even music to make the trip more enjoyable. Again this can vary depending on the type of touring (on-road or adventure) they choose to do. What are the aspects to consider for the person riding pillion – are there specific aspects to consider where the passenger is of another gender [female] or perhaps a child? Rider or pillion, female or child, makes no difference. Both should be kitted with the best fitting helmet and what they can afford. You do however get helmets for kids, but in the same way, you would not compromise on your own helmet quality, you should not compromise on the quality of your child’s helmet. When on a ride, my pillions’ safety (wife or child) is more important to me than my own; but that’s just me. Are there special considerations for those often having to ride in bad weather when it comes to choosing the correct helmet? You can never prepare enough for bad weather like riding in the rain. There are products on the market that will help prevent visors from fogging up on the inside, and even a water-repellent coating you can apply to the outside causing rain drops to run off the visor maintaining a clear view at all times. Further to this, a good quality helmet will have a proper silicon or rubber seal on the visor opening, and when you close your visor it becomes a watertight seal, keeping rain on the outside. One should check the way the visor closes and that it touches or seals properly all around especially at the top. The visor, when closing, should really pull nice and tight against the rubber seal ALL around. 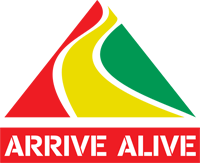 Are there specific warnings to be alert of with regards to safe riding behaviour – and specific aspects such as alertness to the environment, avoiding rider fatigue etc. where your helmet may be an important consideration? Look after your helmet and it will look after you. A dirty visor will place unnecessary strain on your eyes and soon you will sit with a headache. A stinky inside will make you hold your breath, and not breathing while riding is not such a good idea. Keep your helmet visor clear and clean at all times. At every stop, and at the end of your trip, clean the visor inside and outside. A simple damp cloth on the visor for a few minutes will do; no special chemicals required. If it gets scratched, replace it immediately as it may obscure your vision, especially at night. Every once in a while, remove the comfort liner, wash and let it dry before putting it back in the helmet again. You don’t want your helmet to smell like old shoes now do you? Wear them no matter what helmet you buy. You will always have wind noise inside your helmet, and that constant hammering on your eardrums will certainly wear you out on any trip. I personally find that the less irrelevant noise I hear, the more I can focus on the sounds that matter most. Any advice you would like to offer to our riders /bikers? Replacing your helmet – Replace your helmet if it was involved in a crash; it probably absorbed some impact shock. Some helmet manufacturers will inspect and, when possible, repair a damaged helmet. If you drop your helmet and think it might be damaged, take advantage of this service. Most helmet manufacturers recommend replacing your helmet every few years. If you notice any signs of damage before then, replace it sooner. Why replace your helmet every few years if it doesn’t appear damaged? Its protective qualities may deteriorate with time and wear. The chin strap may fray or loosen at its attaching points; the shell could be chipped or damaged. The best reason is that helmets keep improving. Chances are that the helmet you buy in a couple of years will be better, stronger, lighter, and more comfortable than the one you own now. It might even cost less! Even a drop from as little as 2m can cause a hairline crack, compromising the performance and integrity of the shell. With the next impact, you might not be so lucky when the helmet explodes open, exposing your head and face to the hard unforgiving road surface. This is a personal choice, live with it if you can! Can’t remember when you bought your present helmet? Check the chin strap or permanent labeling. New helmets must have the month and date of production stamped on it. If there’s no date at all, you should definitely replace your helmet – now! Folks, in closing, without your head your whole body can’t function, so why spend so little (money and helmet) on your body’s most important asset? Any helmet that does not cover the whole head exposes the other part of your face (usually the bottom front and back) to the elements and road surface. If you fancy looking like the Simpsons, then go right ahead and compromise. As for the rest of us, if the skin is exposed, cover it!